From a comfort bed to free Wifi: Our small family-hotel has the required ambiance and the comfort, you need on your vacation- or business trip. 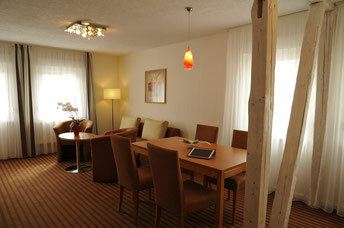 With us, you always stay in modern and comfortable furnished rooms. A selection of our rooms can be find here.